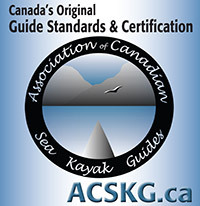 A basic summary is all we need from previously certified ACSKG guides. View a sample log summary. Guides initially joining the ACSKG may be requested to provide a slightly more detailed log. Please contact us for more information. "I acknowledge that the information provided here is true and current and that the ACSKG may contact references in order to confirm this information." 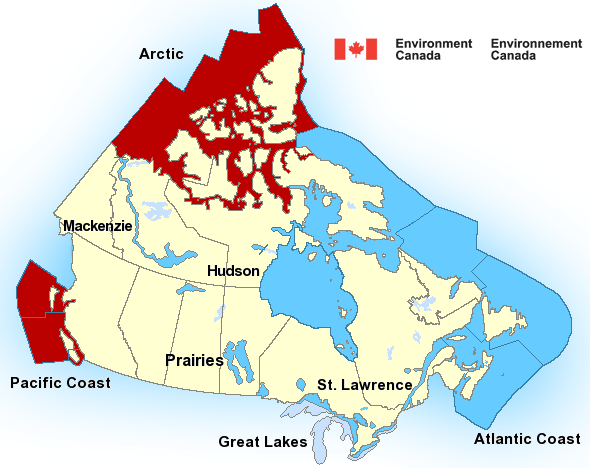 The ACSKG also requires a completed application form, your annual membership dues, your VHF radio operators certificate and your updated first aid & CPR certificates. 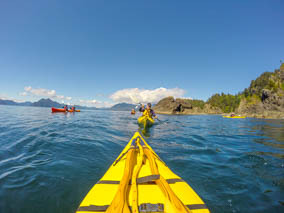 Please remember to log only sea kayak outings which ventured further than four miles from the kayak launch site and/or were overnight or longer.